It’s pretty unusual for a staff member of a Nordic embassy to be a household name in Korea, but Petri Kalliola, a project coordinator at the Embassy of Finland, has made his mark in an unusual way. When he is not at the office, he can often be seen on TV entertainment shows, introducing his country to Korean viewers. Kalliola says his employer, the Finnish Embassy, has been supportive of his TV activities. He thanked his colleagues for putting up with his erratic schedule, but emphasized that his TV career was beneficial for Finland as well. “I might not be working for the embassy when I am shooting TV shows, but I actually am working for Finland,” Kalliola told the Korea Herald at a cafe across the embassy in Gwanghwamun, Seoul. Having come to Korea as an exchange student three years ago, he does not have any plans to go back home. For now, he is settled here. Being on Korean TV shows was not exactly what he had dreamed of as a child, but Kalliola is enjoying the unexpected chance. Kalliola first appeared on Korean TV as a guest on SBS reality show “Man in Black Box,” when he demonstrated how to drive on icy roads. Unlike Korea, driving in icy conditions is a mandatory part of obtaining a driving license in Finland. His most recent work, “Welcome! First Time in Korea?” was a hit. The show, in which foreign residents show hometown friends around Korea, enjoys high viewership ratings. The episodes featuring Kalliola and his friends were well-received. Though the trip might seem relatively free of stress on the small screen, Kalliola revealed that the shooting was harder than it seemed. Viewers loved the Finnish visitors for their open-minded honesty. “It’s because my friends were being themselves,” Kalliola said. He elaborated that his friends were startled to see so many TV crew at the airport. The visitors were uncomfortable with the staff at first, but quickly adapted. “They made up their minds to enjoy the trip, no matter what,” he said. And he has had to make his own adjustments as his face becomes more familiar to the public. Even during the interview, people at the cafe who recognized him started to talk about Kalliola. “Sometimes, people take photos of me without asking, it’s very uncomfortable. But I guess it’s the price of fame,” he said, laughing off the situation. And as the unofficial Finnish representative’s profile grows, so does Korean awareness of his country. It used to be that most Koreans knew little more of the Nordic nation than “Hyva Hyva” (good good) and Xylitol. 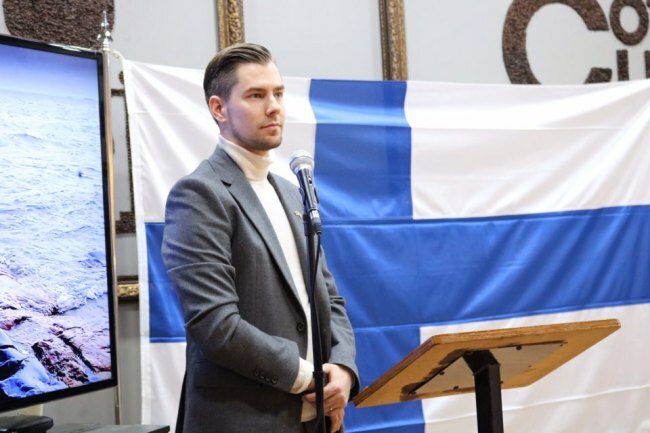 “Yes, Finland is a great country. But it has many problems and issues as well. Nothing can be perfect,” he said. He has recently worked as a coordinator for the 2018 PyeongChang Olympics. 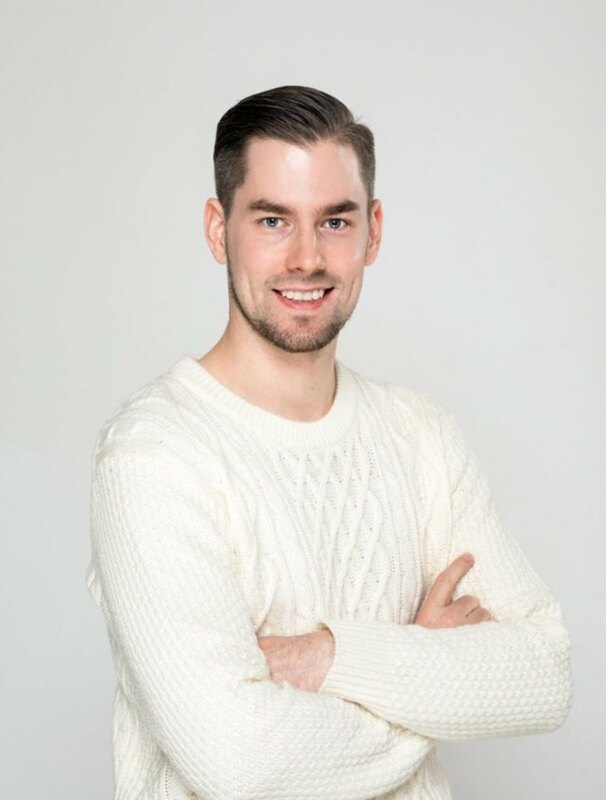 He spent three weeks in Gangwon Province, arranging transport and other things for Finnish visitors who came to Korea for the winter Olympics, including government ministers. Petri is to return to Gangwon Province to work for the Paralympics. Meanwhile, he hopes to continue his TV career and office work at the same time, promoting his home country to more people in Korea through diverse channels.